11. 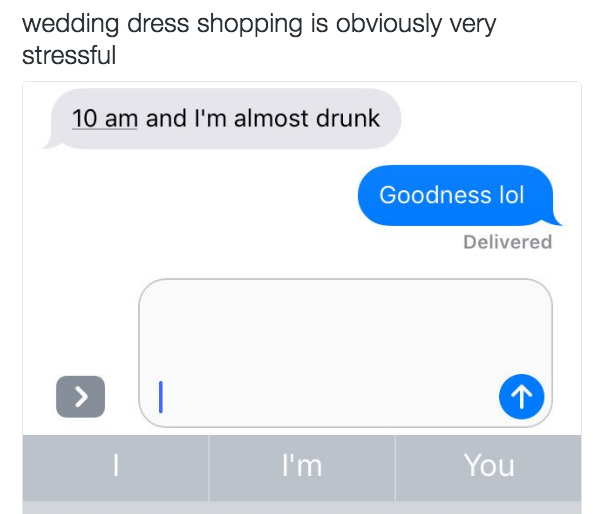 Even a fun dress shopping appointment with zero drama can be emotionally exhausting. Be kind to yourself! As any toddler can tell you, it’s really easy to go from “I’m having fun!” to “I’ve climbed into the sewer, which is where all that screaming is coming from!” if you don’t take care of your emotional needs.